BJP president Amit Shah today had lunch at the house of a tribal in Darjeeling district. 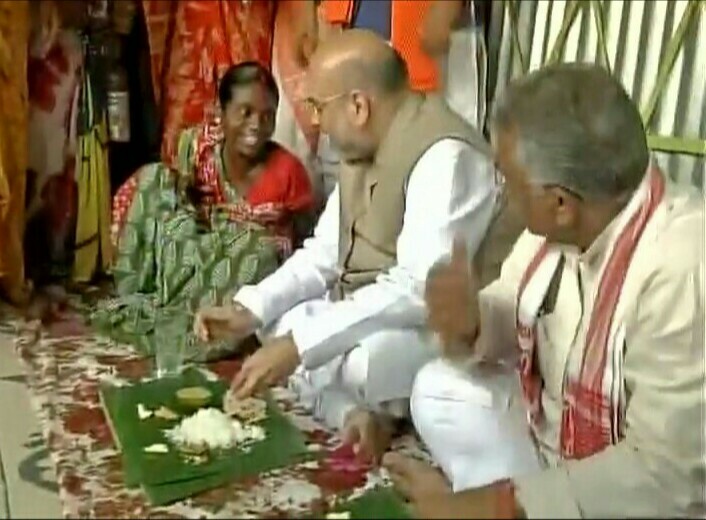 Shah sat on the floor of Raju Mahali's house at Dakkhin Katiajote village in Naxalbari area and had rice, moong dal, 'potol' fry, squash curry, salad and 'papad', served on a banana leaf. BJP West Bengal unit president Dilip Ghosh accompanied Shah. The BJP president is on a three-day tour of West Bengal.